Spring is the time to plant a garden of flowers to enjoy now and all through the summer months. Have you ever noticed that there are gardeners who will actually cut their beautiful blooms for a fresh flower bouquet in their own home or as a generous gift to friends and neighbors? And, of course, there are those gardeners who will tell you the floral palette is meant to remain in the garden to be gazed upon. Which are you? Whether you are a “flower cutter” or a “flower gazer,” here is a list of flowers for you to grow in your gardens. Before you plant, consider the shape of your garden beds while determining plant placement. Is your garden rectangular and one-sided? Then you may want to place the tallest plants toward the back and tier down in height toward the front. Is your garden in the center of your yard? It may be rectangular, round, oval or square. In that case, you may want to place the tallest members in the center and slowly tier down toward the outer edges. Or maybe you plan to just tuck your favorites in and among your roses. Just remember that your roses need to have plenty of air circulation. Before planting, remember to amend your native soil. The list? Oh yes, here you go: aster, bells of Ireland, Canterbury bell, cleome, cosmos, dahlia, delphinium, dianthus, Gloriosa daisy, love in a mist, marguerite, phlox, Queen Anne’s lace, Shasta daisy, snapdragon, stock, sunflower, sweet pea, and zinnia. And this is just a start. Don’t forget the flowering shrubs that are in your garden year-round, such as lavender, pelargonium (scented geranium), leptospermum (New Zealand tea tree), or rosemary. They are wonderful to add to any bouquet and of course, the “Queen of the Garden,” the rose! Now off you go, into your gardens. Your bouquets will have fabulous fragrance and character, and be a work of pure love from you, the gardener! Enjoy! A beginning list, by no means exhaustive! Asters–Spring is the favored planting time in all regions for summer and fall color. Most species grow best with full sun and well-drained, fertile soil. Asters are easy to grow and are versatile, with sizes and growth forms ranging from six inches high to a towering seven-foot variety. Bells of Ireland–The 2-3 foot high plants produce showy apple green bell-shaped sheaths that surround small white flowers. The blossom spikes are attractive, long-lasting additions to fresh cut or dried arrangements. Canterbury Bells–Although this flower is available in a variety of forms, it’s the charming cup-and-saucer flower shape that’s captured gardeners’ hearts. Technically a biennial (produces only foliage the first year, flowers the second, and then dies), in warmer parts of the country it often will bloom in just one year. It’s sometimes called bellflower, and is available in white, pink and blue, growing 2 to 4 feet tall. Cosmos–Cosmos is a hardy, erect annual requiring very little moisture once established. A native of Mexico, it can easily adapt to all regions of the United States. The attractive flowers are a mixture of stunning deep crimson, soft pink and pure white. The delicate looking leaves are deeply dissected, almost threadlike in appearance. Cleome–Gets its nickname “spider flower” from the spidery-like flowers with long, waving stamens that are held on tall, strong leafy stems. It is one of the few annuals that look at home among shrubs and perennials. Planted in mass, they look like blooming shrubbery with 8-inch balls of blossoms. They will reach a height of 6 feet in a good season. Dahlia–Dahlias make excellent cut flowers because their stems are long and their blooms last several days in water. Dahlias are not hurt by cutting for your arrangements. 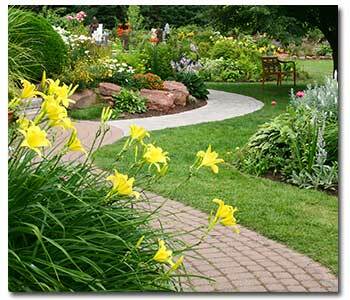 In fact, the more you cut, the more these prolific plants will grow and bloom. Delphinium–This is a large group of very beautiful annuals and perennials commonly called larkspurs. The original or wild types from which the named varieties are descended are natives of California, Siberia, Syria and India. The delphiniums mostly seen in gardens are hybrids and are clump-forming perennials that bloom from early to mid-summer. Dianthus–There are over 300 species of dianthus, and hundreds more of hybrid varieties. The group includes annuals, biennials and perennials. Most dianthus produce richly fragrant flowers in the spring or summer, and with a little luck, sometimes the flowering extends right up until the first frost. Although dianthus species vary from 2 inches to 3 feet tall in height, most garden varieties are 10 to 20 inches tall. Dianthus means divine flower. Gloriosa Daisy (Rudbeckia)–Gloriosa daisies are a strain of black-eyed Susan that was developed in the United States, and is now grown world-wide. The center of the flower is brown and surrounded by petals in shades of yellow, gold and mahogany. The six-inch blossoms are available in double or single forms. Gloriosa daisies are actually biennials or short-lived perennials and are often grown as annuals. Love in a Mist–Is a hardy annual with very fine, threadlike foliage and charming 1.5-inch flowers at the end of each branch. An excellent cut flower, it also forms interesting horned seed capsules, which are beautiful in dried arrangements. Marguerite–The bright and cheery daisy-flowered marguerites are tender perennials, flowering prolifically from late spring to early winter. They are beautiful in containers on your patio! Phlox–The name phlox means “flame,” in reference to the bright colors of the blooms. These plants are great for borders, rock gardens and flowerbeds. The annual kinds can be grown in a greenhouse for spring and winter bloom. They are also useful for cutting their flowers. Queen Anne’s Lace–Queen Anne’s Lace is a biennial that normally grows three to four feet tall, but can grow to almost five feet in the right conditions. Its flowers are white and sometimes pink. Shasta Daisy (Chrysanthemum)–A hardy perennial, forming dense colonies once established. The white-petaled flowers with golden yellow centers are borne individually on single erect stems. Shasta daisies generally grow 1 to 3 feet tall and have a larger flower head diameter. This daisy prefers full sun to partial shade in fertile soil. Snapdragon–Snapdragon flowers have a unique, irregular shape and come in shades of yellow, red, pink, orange, bronze, lavender and white. Stock–Prized for its spicy scent, stock is a favorite old-fashioned cut flower and annual (grows just one year). It forms pretty spires of blooms in white, pink, rose, lavender, red and mixes. Plants reach 15 to 36 inches tall and thrive in the cool weather of spring and autumn. Zinnia–Zinnias are true American natives that originated in the Southwest U. S., Mexico and Central America. Zinnias grow to between 6 and 40 inches in height, with single and double blossoms varying in diameter from less than an inch to 7 inches. The petals can be any of a wide range of vivid colors or multicolored.